Mansfield Town V Crawley. 'The Stags celebrate Tyler Walker's 88th minute winner. 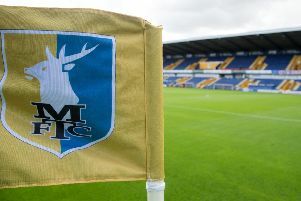 Mansfield Town boss David Flitcroft enjoyed watching two of his best birthday presents make impressive debuts tonight as the Stags beat Crawley 1-0 to leap back into the top three. Flitcroft had a busy birthday yesterday as he signed two more high quality players in Nicky Ajose and Jorge Grant – and tonight they played their part in a crucial and hard-earned win, finally secured by Tyler Walker’s 88th minute finish. 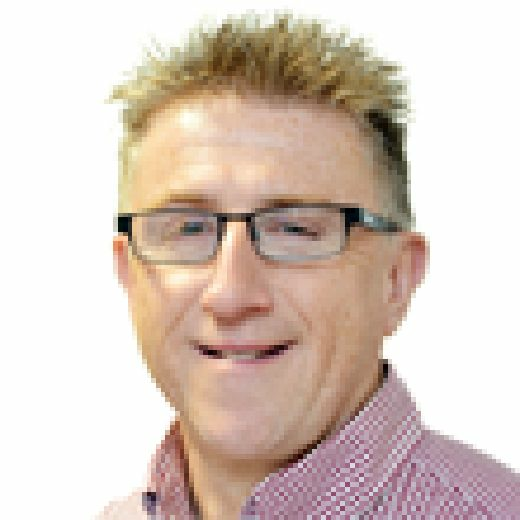 “I’d been trying to keep it quiet about my birthday yesterday but the two signings yesterday were a brilliant birthday present and I thanked the chairman (John Radford) and Carolyn (CEO Radford),” he smiled. On the new pair’s debuts, he added: “Sometimes it’s not easy coming in, but with the fluidity the team plays with and the system we’ve got, they fitted straight in. “To get a late winner just shows you the desire and fitness of the players and their willingness to win. “The good thing for us today was that we stayed patient with the way we want to play. “We have some good technicians and we had a lot of quality on that pitch. We stayed true to that and kept trying to move the ball and work good angles. “We got a better quality of crosses in. “There was spell between 20 and 35 minutes we just took the game to them and played some brilliant stuff. But you have to score and put that nail in the coffin. But fellow Forest loanee Jordan Smith made two crucial saves after the break to deny Crawley. “The save Jordan made on that counter-attack (from Ollie Palmer) was just outstanding. If you want to keep that clean sheet it takes those moments,” said Flitcroft. Crawley head coach Gabriele Cioffi said: “Today we deserved a point. Both sides played good football and both sides deserved a point. “But you just can’t afford to concede on 88 minutes. “We gifted them the three points. After 88 minutes that ball has to be our ball. “Mansfield were the home side but for 88 minutes there didn’t seem to be much difference between the side. “We had our chances but that’s football. The goals will come with performances like that.